Tempt your guests to enjoy something delicious with these humorous cake picks from our Scripted Marble collection. 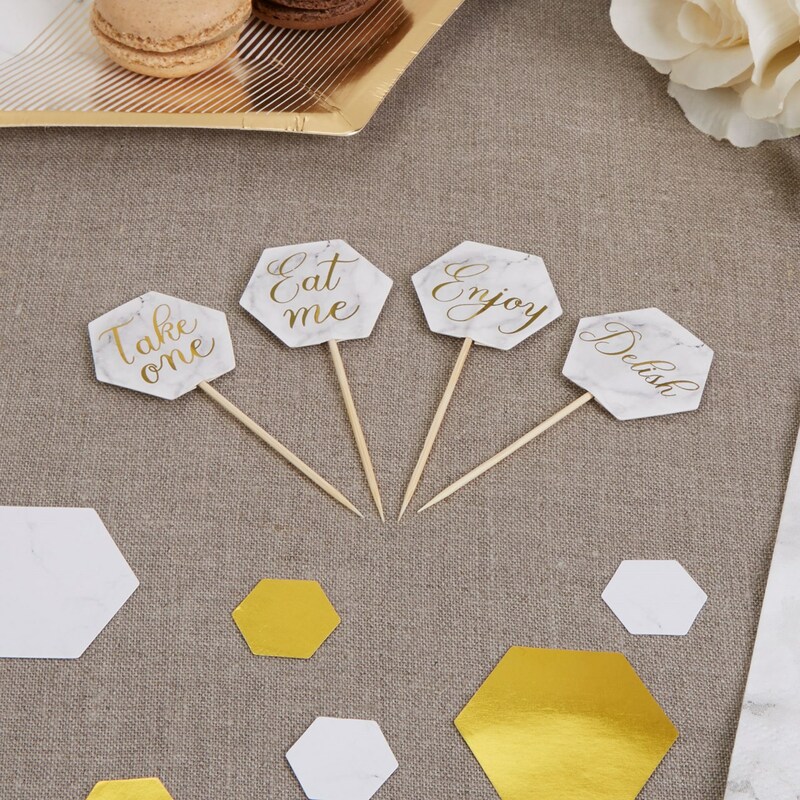 The hexagonal picks feature a stylish marble-effect background and gold text. A mix of four designs (""Take One"", ""Eat Me"", ""Enjoy"" and ""Delish"") makes dressing your cakes and canapés easy, adding a fun touch to any celebration. Each pack contains 20 Picks, 4 designs.